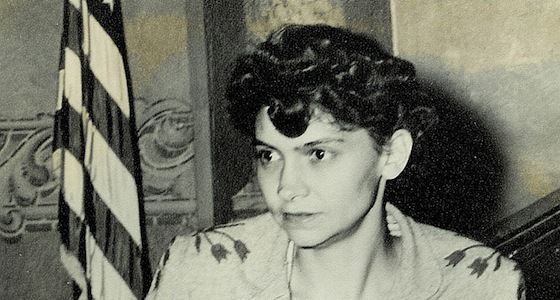 She was called "that awful woman" by her neighbors, and "that atheist mother" by newspapers across the country. Her friends stopped returning phone calls rather than risk speaking with her. She was branded a communist, and the Illinois State Legislature nearly outlawed her and her husband from ever working at the state university again. She received up to 200 letters a day, some of the writers claiming they would pray for her; many wishing for much worse. 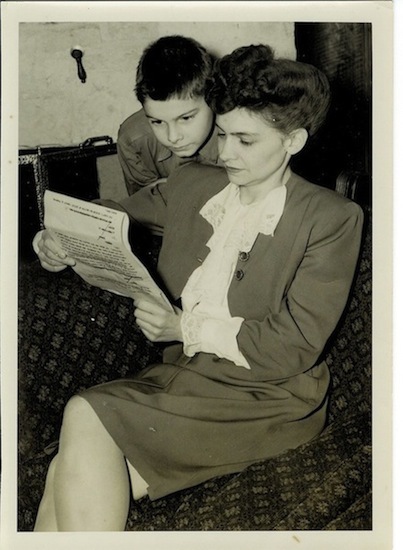 All because, in 1945, Vashti McCollum would file a historic lawsuit that would forever change the relationship between religion and public school in America – and turn this young housewife from central Illinois into an unlikely champion of the separation of church and state. The Lord is Not On Trial Here Today is a Peabody Award-winning documentary that tells the compelling personal story of Vashti McCollum, and how her efforts to protect her ten year-old son led to one of the most important and landmark First Amendment cases in U.S. Supreme Court history — the case that established the separation of church and state in public schools. Little-known by the contemporary American public, the McCollum decision continues to have important ramifications for current conflicts over the role of religion in public institutions – from displays of the Ten Commandments in government buildings to student-led prayers at public school graduation ceremonies. The film recounts what Vashti McCollum later described as "three years of headlines, headaches, and hatred," and the dramatic legal maneuverings that led to a decision that shocked the nation and made the McCollums a household name. "When we look at the history of this country, and so much of it is built on these Supreme Court cases, what people don't always realize, and certainly people who study the law tend to overlook, is that behind every one of these cases is a personal story and probably a very deep involved personal story about a person or family who had to go through great hardships and show great courage and have all sorts of negative things happen to them for having the courage to stand up for one of these unpopular ideas. The constitution is not self-executing." Kristin was asked to take the film out for a second run of broadcasts during "Women's History Month" a year after its initial release on PBS. Despite the challenges of competition from PBS pledge pre-emptions as well as being a repeat performance, through Kristin's efforts, the film re-broadcast in 80% of the top ten markets. Nationwide, Kristin secured nearly 500 broadcasts throughout 61% of the US, making a broadcast of "The Lord is Not on Trial Here Today" once again available to viewers in nearly seventy million homes. "Beautifully rendered ...While the constitutional basis for the "wall of separation" is meticulously unpacked here, the issue is all the more compelling because of the way we see it play out in this narrative ... At a time when it seemed few in McCollum's conservative Champaign, Illinois community dared to question the connection between American ideals and patriotism, between patriotism and religion, between religion and Protestant Christianity, in that rush-to-judgment world, McCollum hit the 'pause button.' "
Two Emmys from the Mid-America Region, for Best Historical Documentary and Best Writing. "The constitution says government institutions can't play favorites with religion," notes the film's award-winning writer-producer, Jay Rosenstein, associate professor of journalism at the University of Illinois at Urbana-Champaign. "That's really what the establishment clause says to me: all religions and non-religion have to be treated equally by the government. It wasn't until someone like Vashti McCollum stood up, went through all this financial hardship, emotional hardship, physical hardship, that that right suddenly got applied to the rest of us." "And it's not just religion," Rosenstein cautions. "It's every aspect of difference. It's sexual orientation, it's kids who are gay and lesbian, everything. In a way, I kind of feel that what happened to (Vasti's son) was, in some ways, the same story that happens to every kid or every family who is different in some way." Jay Rosenstein is a three time Emmy Award-winning independent documentary producer, director, writer, and editor whose work has been seen nationally on the PBS series – POV and Independent Lens, the ABC World News, ESPN, Nickelodean Channel, the Independent Film Channel, and film festivals worldwide including Sundance.